Those of you looking forward to the first Fate/stay night Heaven’s Feel movie, which premiered in Japan earlier this month, please enjoy this long set of notes on the film and the work of ufotable’s crew – worry not, no spoilers! And while this will definitely not cause people to do a 180 on either the franchise or the studio, I recommend that those of you who were on the fence give this a read. As it turns out, this is quite the film. 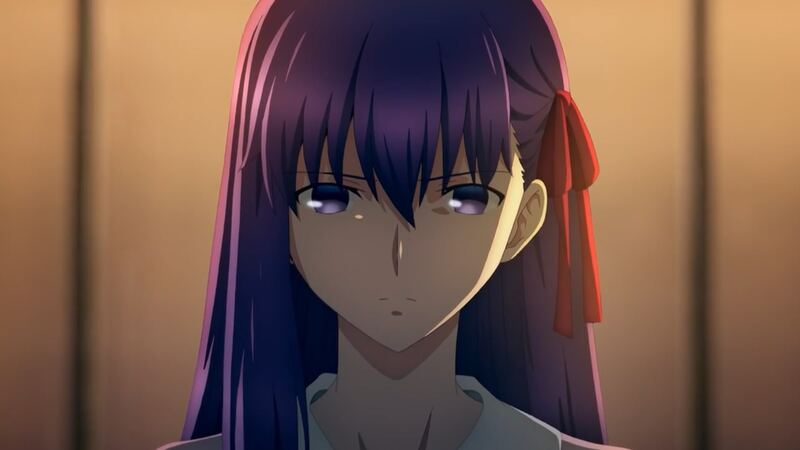 — The first surprise regarding Heaven’s Feel I is that it’s very solidly constructed; splitting a large tale that also requires plenty of new material to work in standalone fashion wasn’t an easy task, and as someone who’s personally tired of the original F/SN routes after a decade of overexposure, the mere idea of taking only 3 films to adapt this was daunting. I’m still not convinced the trilogy as a whole will work out, but it’s started as solidly as it realistically could. The lengthy introduction, which serves as the foundation of the relationship between Shirou and Sakura and has a warmth you wouldn’t expect from this franchise, eventually leads to a beautiful, exact recreation of her first CG in the visual novel – and that about sums up the approach to the film. A new skeleton has been built to sustain a story that would have had issues standing on its own otherwise, though for better or for worse its goal is to closely protect the source material. Despite my grievances, overall I’d say it easily succeeded! 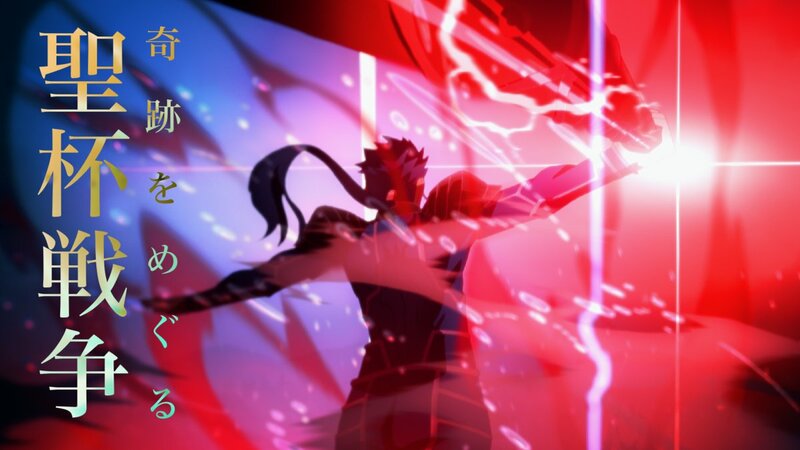 — There’s an amusing exception to that, in the form of an opening (which plays quite late into the film) that is just a montage of old F/SN footage to get across the idea that all that Saber stuff happens, as usual. There’s a neat twist to it by the end of the sequence that I’ll keep a secret, though! — Might as well get this out of the way already: this movie is pretty much undeniably ufotable’s strongest production. In many ways it’s at odds with my aesthetic sense, and I’d love to see the studio explore theatrical projects like Majocco instead, but this is a beastly project without a doubt. 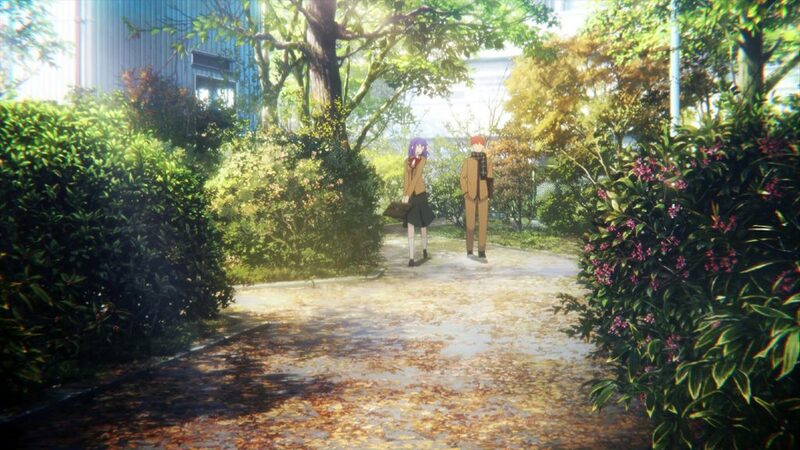 Heaven’s Feel is the culmination of the modern ufotable brand in many ways, an iterative improvement rather than a revolution which nonetheless led to spectacular work. Some of their recent projects have definitely suffered as this clearly received higher priority, but it’s hard to lament that after seeing how this turned out. — So, what does ufotable’s stylistic approach entail exactly? For starters, it’s once again their digital leader Yuichi Terao who sets the tone. As you can imagine, it’s very unusual to have a director of photography who essentially defines the aesthetic of a studio’s output no matter who the director is. And yet it’s thanks to his bold attempt to control the style that the result is so cohesive; his photorealistic digital effects are accompanied by similarly realistic 3D objects, and the very flashy post-processing feels as bombastic as the set pieces enabled by the CG backgrounds. His style is still divisive, but it’s hard to argue that things don’t feel like they belong in the same piece. Personally I was still put off by the digital flames, and there are some questionable 3D vehicles during a mind-boggling action scene, but overall it feels much more refined and even restrained – as long as Lancer isn’t on-screen that is, since Gae Bolg is still quite aggressive on the eyes. — When it comes to the action, the rule of cool still reigns supreme. The movie is full of fights that first and foremost want to impress the viewer, relying on eye-catching, flashy, dense screens and often dynamic camerawork. The best pieces of action in this film have a huge spatial element, as the 3D backgrounds are used to effectively establish their massive sense of scale. But, to put it plainly, the movie is also totally unconcerned with making much sense. Positional awareness, sensible fighting choreography, all those more traditional concepts are thrown out of the window in favor of pure spectacle… and that’s completely fine! It’s a similar approach to what Tetsuro Araki attempts to do with shows like Attack on Titan and Kabaneri, except with much more complex, thrilling, and ultimately more satisfying sequences. They could definitely have kept them more feasible, as Takahiro Miura recently showed in Granblue Fantasy that he can easily craft grand fights with a more positional element, but I feel like it’s perfectly fine to sacrifice that in favor of non-stop exciting nonsense. That’s what animation is for! — It’s not going to receive as much attention as other aspects, and yet I’d actually say that the backgrounds are the most impressive part of the movie. The 3D ones have been put to good use as I mentioned, though it’s the 2D art that caught my eye the most; an endless succession of urban sceneries densely packed with detail, meticulously depicting even the most mundane objects. Their photorealism plays off well with Terao’s approach to lighting as well, although there’s also moments – like a couple of gorgeous sky shots – where it heavily departs from that with vivid colors, letting fantasy triumph for a change. 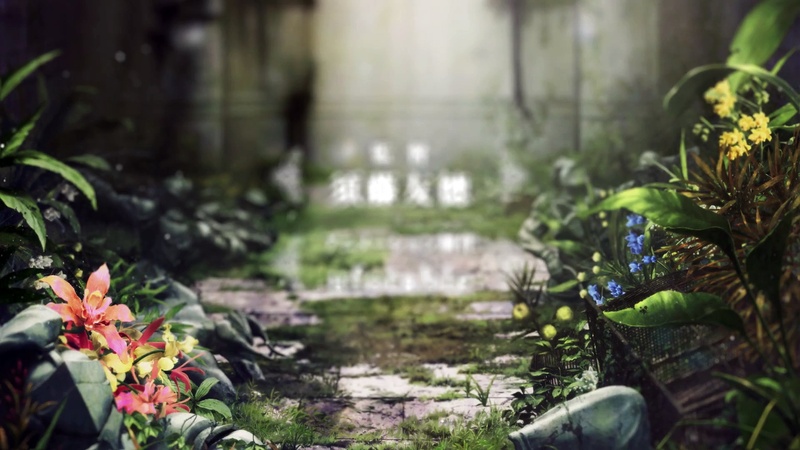 And now more than ever, ufotable’s art team (who handled most of the work despite requiring assistance from many companies) excel at portraying worn-down metropolitan settings, not needing to go as far as showing massive decay to capture the feeling that this world has existed and been used for years. That’s something that Kara no Kyoukai already did quite well, but this definitely bests its predecessors. Again, nothing in Heaven’s Feel is actually new for the studio. They just did it better this time. — Even though the actual 2D animation isn’t the keystone of modern ufotable, there’s no denying that it’s quite good in this film. It’s rare to see so many hand drawn effects in their production nowadays, and that’s made even better by the less intrusive post-processing that isn’t as keen on covering them. All the major animation highlights come in action form as you would expect, which means that it’s quite the uneven animation experience (without ever dipping below acceptable levels, of course). The first two skirmishes have a nice exaggerated sense of impact to their hits, but it’s the major city-wide fight involving Lancer that will rightfully captivate most viewers. A long chase with constant wild perspective shifts that stays polished in spite of its obscene complexity, eventually leading up to the chance for Nozomu Abe to steal the sakuga spotlight once again. The movie doesn’t quite reach the same heights again, though it’s hard to fault it for that. It’s not as if the final confrontation is all that climactic to begin with, so they can be forgiven for peaking a bit early. — The weak link in regards to the production is also unsurprising: character expression. Acting will never be the forte of these creators, or this franchise for that matter. Admittedly, there’s a bit of an improvement too – Sakura’s tendency to fiddle with her ribbon when nervous, and her clumsy joyfulness after a certain event show a newfound attention to gesture and demeanor, but those are honestly exceptions. It’s functional enough and we’ve come a long way since the series starred pieces of wood as its cast so I don’t expect people to complain about it, but it does stand out in an otherwise excellent production effort. — Another minor negative regarding the animation are the recurring sequences using computer generated/assisted in-betweens, which are unnaturally fluid and just about destroy the timing of the animation. I expected this to be an issue during the action scenes (as it happened in Katsugeki Touken Ranbu), but in the end it was the many instances of character scenes taking this route that felt the most awkward. The reasoning behind these could be a topic on its own, so for now I’ll just say that the experimentation is much more interesting than its results, which are honestly detrimental to the movie. To end on a less somber technical note though, I also got the impression that Tomonori Sudo wasn’t particularly strict as Chief Animation Director, as the drawings are always polished but clearly change depending on the hand who’s drawing them. Your mileage may vary, but I definitely don’t mind! — While directional talk would usually be much more prominently featured in this site, I honestly don’t have much more to say. This isn’t an inventive film, or even one that manages to cohesively stick to someone’s vision. There are some sparks of brilliance, like the way the parallels between Shirou and Sakura are underlined visually… and that’s about it. Heaven’s Feel is very technically competent and I feel like it accomplishes its goals, but you should expect the flourishes on the production side rather than in the director’s boards. — For the curious sinful fans: they decided to take the vampire route, unsurprisingly. And while we’re on the meme front, yes mapo tofu is in there. In the most tonally unfitting moment too, which just makes it funnier. 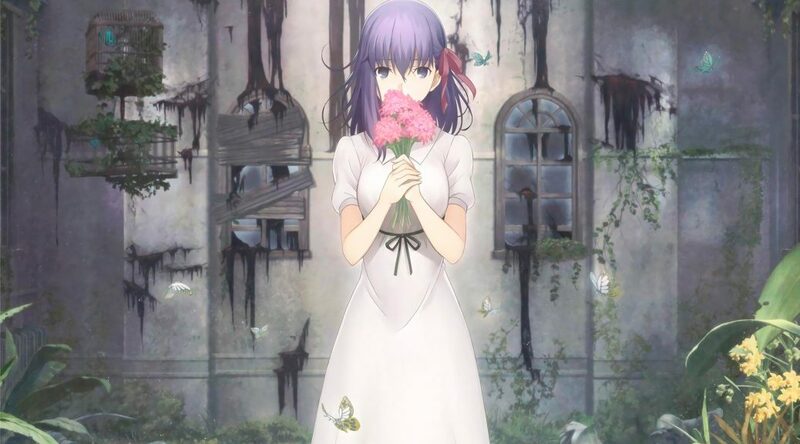 — So, to sum things up: Fate/stay night: Heaven’s Feel – I. Presage Flower is a lavish production that breathes more character (despite the lackluster acting) into the source material, which has already made it more emotionally resonant. Spectacular action and some surprisingly heartwarming material are as good of an intro to this trilogy as we could have expected. I don’t think it will change people’s minds if they felt strongly against the franchise or ufotable’s modern work, but it’s shaping up to be the finest example of those. Well this has me excited. I’m already a huge Fate and Ufotable fan, so I’m glad to hear that they’re only improving on what they’ve done before. I’ve always liked Ufotable’s aesthetic, so it’s good that they were able to keep it up for this. I can’t wait to see it! It’s far from the less egregious example but that’s the general gist of it. In a scene like that it really didn’t matter and arguably it increased the creepiness, but sometimes it’s just very very offputting. The dream scene is in the first movie and that’s what they did, so that’s what it seems they intend to do. It’s just not the same when you’re not making me laugh with the screencap filenames. I guess I’ll at least give it a trip to the theatre if it comes near me. I dare say that I think my taste is very similar to yours, so I was never really a fan of the franchise except the action part…. which makes it a good movie to watch in the theatre setting I guess.